It must be said that six days off is enough to make me happy even without a holiday. 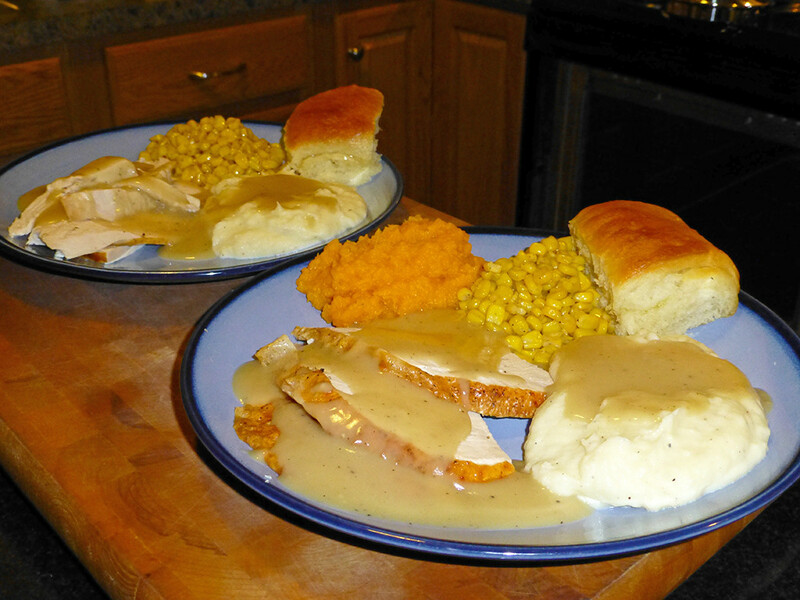 Thanksgiving dinner this year was a tasty Bell & Evans turkey with roasting pan instant stock that made a perfect quart of deeply flavourful gravy, mash, some Trader Joe’s corn (frozen but pretty good), light and fluffy freshly-baked Parker House rolls, and just for me, butternut squash with white pepper and nutmeg. In past years Market Basket has stocked a few Bell & Evans turkeys, but this year they had quite a large selection priced at a little more than twice the price per pound of, say, a Butterball bird. That might sound expensive, but Bell & Evans birds are miles above others in terms of flavour, texture, and a complete lack of injected saline solution. At other shops, they’re most often priced at 3-4 times the Butterball price per pound. The next time I cook butternut squash, I’m going to try roasting or steaming them. Boiling infuses far too much water into the porous flesh, which forces you to cook down the mashed result for 20-25 minutes on a medium heat to get it to an unwatery state where its flavour is properly highlighted. Two whole foot-long gourds produce just 3 cups/.7 litres of delicious cooked squash in the end. I’ll likely be making turkey noodle soup with most of the remaining bird, but more sandwiches are definitely in my future. 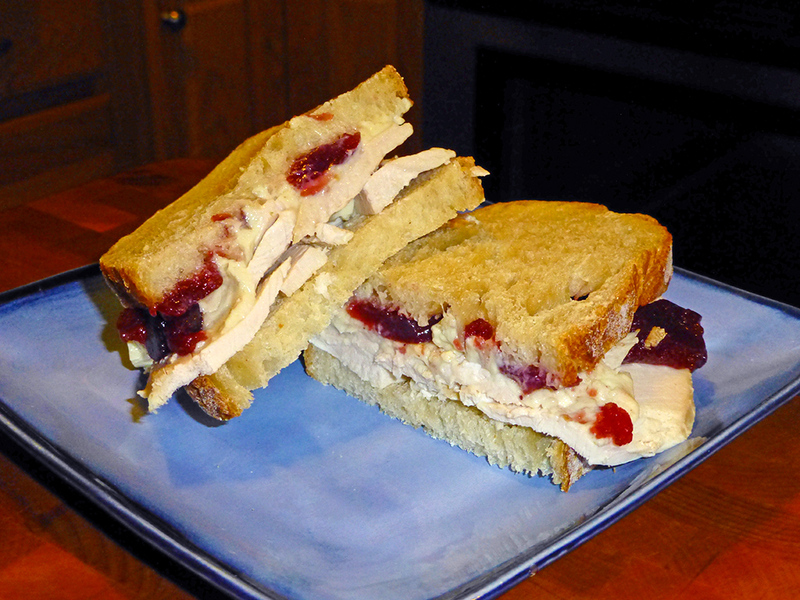 This entry was posted in Baking, Cooking and tagged Thanksgiving, turkey. yay! Happy thanksgiving to you too lalo! we don’t celebrate it here…so I get a little bit nostalgic about the days when driving down to the R’s family was a yearly pilgrimage. We saw friends that my parents had known since before I was born. Checked in with everyone’s doings. Heard piano playing of the kids…watched football on the telly (we didn’t have a television when I was growing up) I really looked forward to thanksgiving (and thanksgiving leftovers !). Now we have all grown up, moved away, some of our parents have passed on. The Indian pudding maker…he’s gone. My Pop who made the pumpkin pies…he’s gone too. Hummm. So love reading your post. Looks delicious. Especially the next days deliciousness!